The 10 Best Bars to Celebrate the New Year in Nebraska! New Year’s Eve is always one of the most exciting nights of the year. 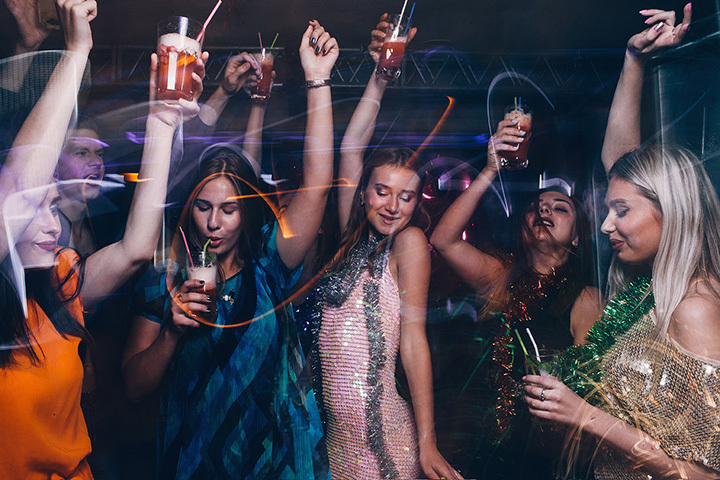 Whether you decide to ring in the new year at a relaxed bar with friends, or at a lavish dance party, there are plenty of ways to celebrate and make it a night to remember. If you’re ready to start making your plans, here are 10 of the best bars to check out and celebrate the New Year in Nebraska. Bodega’s Alley in Lincoln will host a special New Year’s Eve show with Jerry Pranksters starting at 9:30 p.m. Enjoy the best of the Grateful Dead, along with a balloon drop and champagne toast at midnight. The Waiting Room is one of the top spots for live music in Omaha and New Year’s Eve is no exception. Get your tickets now for Secret Weapon’s annual New Year’s Eve bash and celebrate in the heart of Benson. Ring in the New Year with plenty of music and fun at Huskerville Pub and Pizza in Lincoln. There will be live music from Mojo Filter, plenty of pizza, and no cover for this special night. @the_evan_bartels never disappoints! Amazing show last night! Party for a cause at the Pre New Year’s Eve at Shevy’s Sports Bar & Grill. There will be drinks, games, and a silent auction on Saturday night from 7 p.m. until midnight! All proceeds benefit Chive Charities. Situated in the heart of Omaha, the Session Room is well-known for its craft beers and live music. Rock the night away with Hi-Fi Hangover, a balloon drop, and a champagne toast at midnight. Welcome CWS fans! Come join us from 11am-2am! Make your way to Barry’s Bar & Grill in Lincoln for an amazing New Year’s Eve celebration. There will be live DJs and the full bar will be open, including the rooftop. The Bourbon Theatre is a renovated 1930s movie theater with multiple bars known for their excellent craft cocktails. Make your way to the Bourbon Theatre for a 1990s Masquerade Ball this New Year’s Eve. The best mask will win prizes! Come party with Church Beers, one of Lincoln’s top cover bands, and $1 drinks at the 1867 bar. The band will be playing the best of the 1980s-90s, and today all night long and there will be a free champagne toast at midnight. We played our first sold out show yesterday. Here’s a cool pic @ari_anna_bo snagged of us (via @hearnebraska ) Thanks for comin y’all, that was crazy. The Tavern, a local downtown neighborhood bar in Omaha, will be hosting a Black & Gold New Year’s Eve celebration with plenty of activities to enjoy. From a professional photographer and live DJ to a photo booth and complimentary glass of champagne, this will definitely be a night to remember! Head to the Zoo Bar in Lincoln for a fun night of music by the Tony Meza Band. Starting at 5 p.m., the band will be playing their top hits. First night in Nebraska. Hit up The Zoo Bar, a Lincoln institution, for a live karaoke band. This is a great idea, and I want to find a place in DFW that does this too.